Antimicrobial active agent KILLS bacteria, fungus, mold, yeast and viruses. Patented delivery system penetrates to the site of infection No harsh acids, alcohols or odor. No need to remove polish or acrylics. &nbs..
Antimicrobial active agent KILLS bacteria, fungus, mold, yeast and viruses. Patented delivery system penetrates to the site of infection No harsh acids, alcohols or odor. 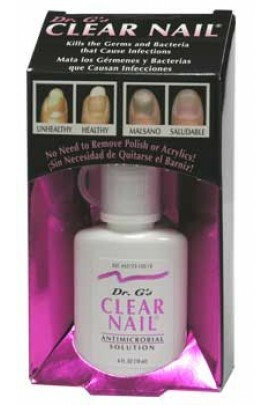 No need to remove polish or acrylics. Physician tested / Salon p..